Recently I came across a featured post about Lorene and her amazing work and I wanted to showcase it here. Lorene gladly accepted for which I am thankful! 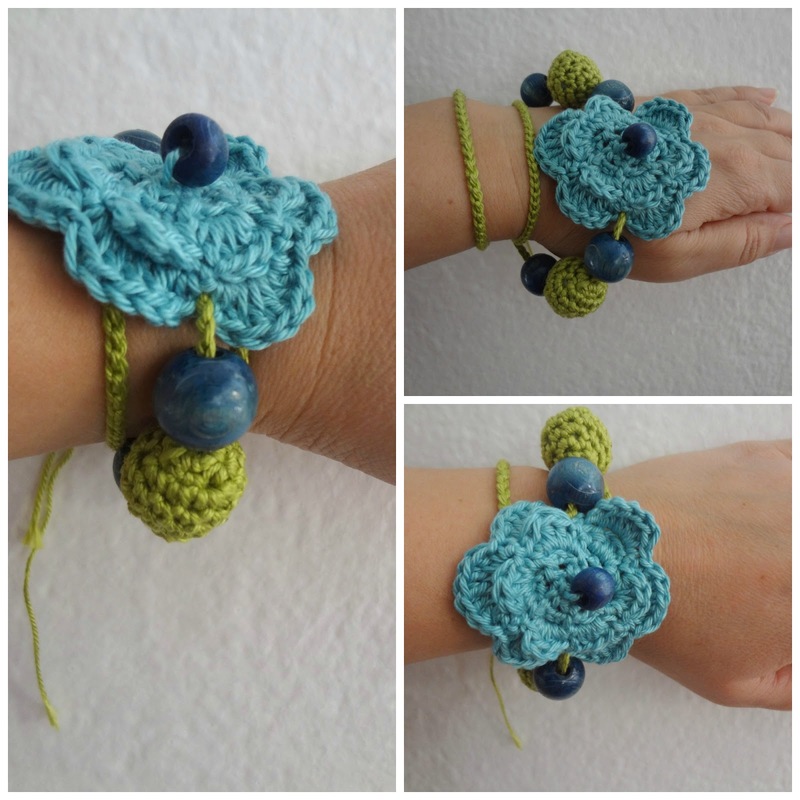 So, let me introduce Lorene, the creative mind behind Cre8tion Crochet! 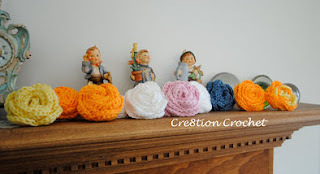 "Hello, my name is Lorene and I am a crochet-a-holic. I’m also a craft-a-holic, but crochet is by far my biggest obsession. I love creating new designs and making homemade treasures for my family and friends. Until recently I never followed a pattern. I just looked and created what I saw, lots of times having to rip out most of my work and start over. 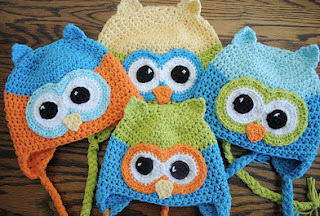 As I got better and better with creating designs in my head I got pretty good at crocheting. I decided to try my hand at following a pattern. It was all down hill from there. I started to create my own patterns and designs. Blogging was a natural progression for me. I love being able to share my free patterns and designs with fellow hookers. 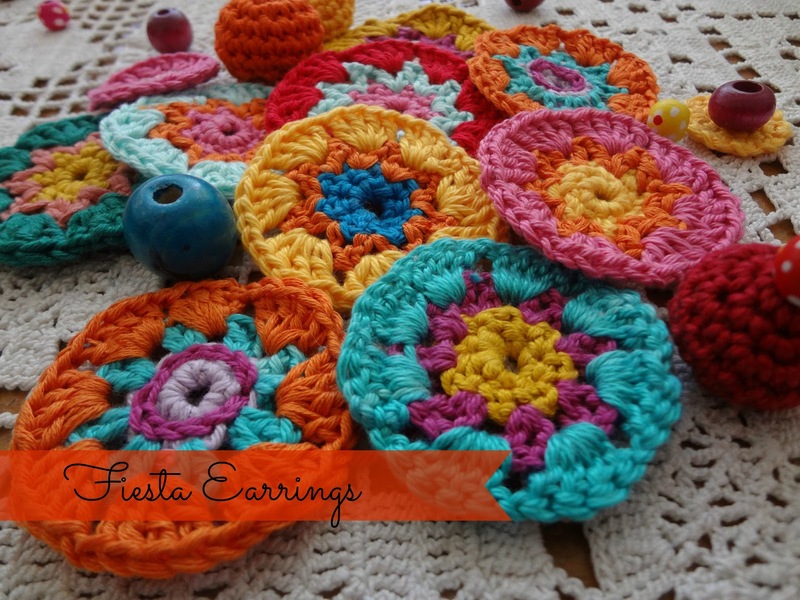 On my site you will also find helpful hints and tips for crocheting, advice on blogging, and posts on featured guest bloggers." For today, I chose a project similar to one of my own. The delight necklace to be precise. Lorene has explored the idea even further and made some really exceptional pieces using plastic rings. Visit her blog to see how she did that. 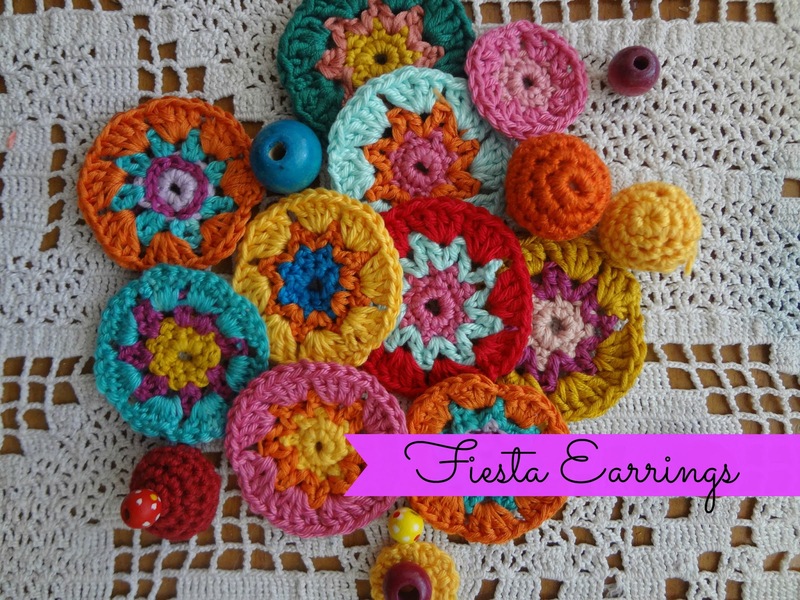 Find out her crocheting hints and tips and loads of featured posts she's done for the craft community. Can you believe there are couple of days separating us from June?! Well, to be honest, I can't wait. Can't wait for my holiday to come although with what has been going on around the globe, I wonder if we are going to sunbathe or ski. Sad, but true. Thanks to the rain the vegetation has been flourishing like mad and recently I've discovered a huge poppy field near my home which has been tempting me to take my camera and just shoot. For today I don't have any poppies. Instead, here's another one of the Señoritas. I used a color-combination I always find amusing and strangely attractive! Reminds me of my grandma's pots. That brings some fab memories alive. Well, be well and we'll be chatting again very soon. As you can see - here we are - ready for the summer! I was deeply shocked with the news of the premature departure of Kathreen of Whip up and her partner Rob. She was an amazing crafter and a genuine supporter of many artists. A leader in the craft community who loved helping and promoting others. That I will never forget. I had the honor and pleasure to be a guest on her blog several times and enjoyed our correspondence across the world.This is my time to do something about their children. There are other ways to make contributions. For that please click here. ...there is a flowery-strewn meadow. Just when the sun kisses it goodbye, the little fairies come out to dance. With their glittery dresses and delicate flowery headbands made by silkworms they create a mesmerizing picture. We really tried to find the perfect spot for taking pictures of these headbands (a grey and beige one) and I believe we achieved the desired effect. Isn't this what every fairy would desire? I wish you a splendid weekend! 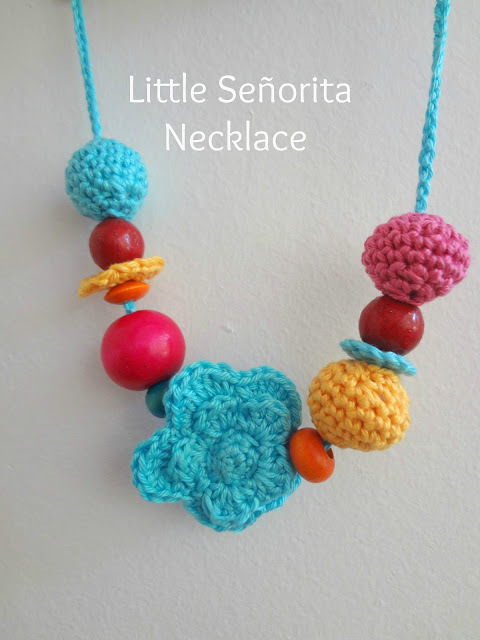 I don't think one can join the fiesta without a lovely necklace - Behold - the Little Señorita Necklace. Lately, I've been shaken out of my romantic essence and pastel colors appreciation with the urge to make something vivid, vibrant and in screaming colors. I am sure I will resume my usual self in a while - not to be worried. Until then - well - let this be a provocation for the summer. For we have had rain coming out of our ears. I believe mushrooms will start growing on us any day now! What is the weather like in your place? 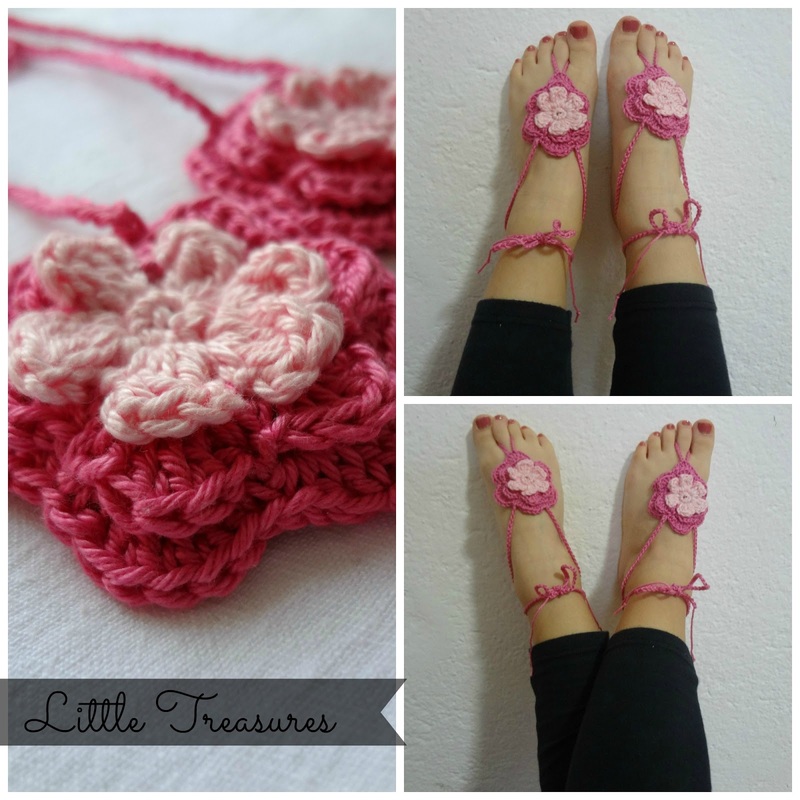 I have a new pattern to share with you, this time about adorning little feet! I made these for my niece for Easter who really liked them and she was excited to model them for me. After the success of my adult anklet pattern and several inquiries for children's anklets, the pattern is ready and can be found here and here. 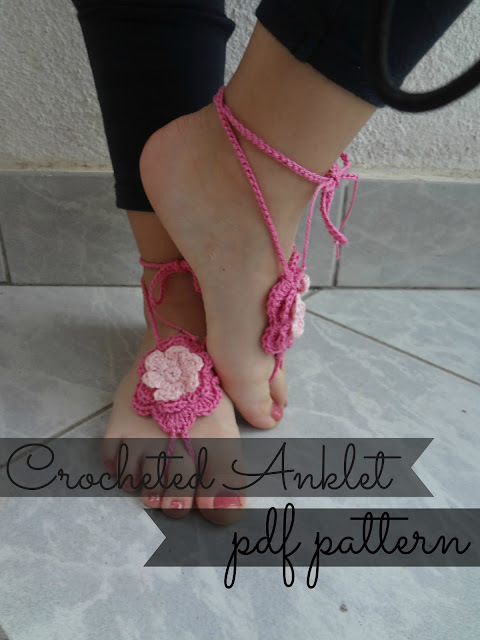 The pattern is beginner friendly and the anklet a superbly easy to make. 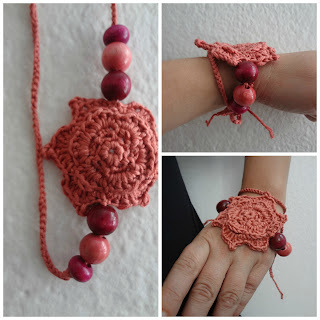 For the anklets in the picture I used a fine cotton thread (less than 0.7 oz / 20 grams) and a 1.7 mm (B1-E4) hook. 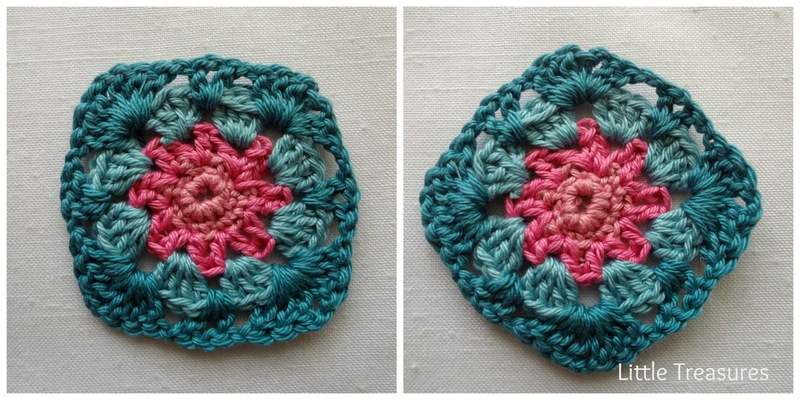 Used terms in US terminology: chain, slip stitch, single crochet, half double crochet, double crochet. Time of make: 15-20 minutes. Left over yarn is perfect for this kind of project. It would be great to add an extra color to the summer, don't you agree? My latest Fiesta earrings. I cannot resist playing with colors. We had a lovely Easter spent with family and I would like to thank everyone who remembered and sent their best wishes! Since Good Friday and the Second Day of Easter are non-working days in my country, we had 4 nice and long days to celebrate, relax and make memories. 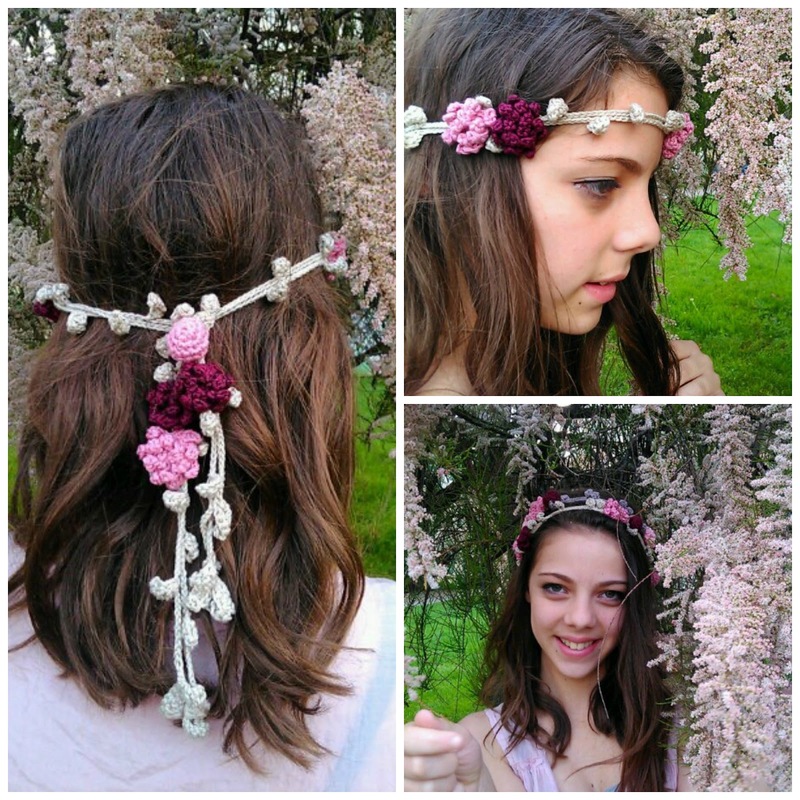 In the quiet and lazy afternoons I mingled with my yarn and made anklets and headbands and flowers. I even had a blind date with a granny square. 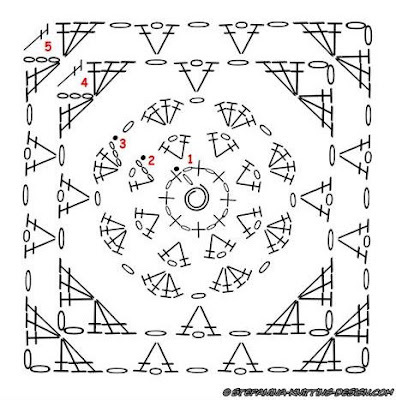 The thing is that I like to collect granny square schematics. I have a ton of granny square books and mags, still I want to rummage through the internet and search for "new" ones. Googling, I found the one above. I never click the link to see the result in yarn and always work on the color composition I imagined for that particular granny. I have lots of grannies made this way and maybe one day I'll join them into a blankie - it'll surely be a motley scene. 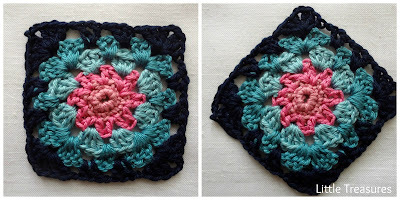 The search for a granny square results from an impulse of mine to make a blanket as a gift for a newborn baby and although I am highly inclined to use the African flower pattern for it, I still cannot shake off the grannies as an attractive choice for a blanket. 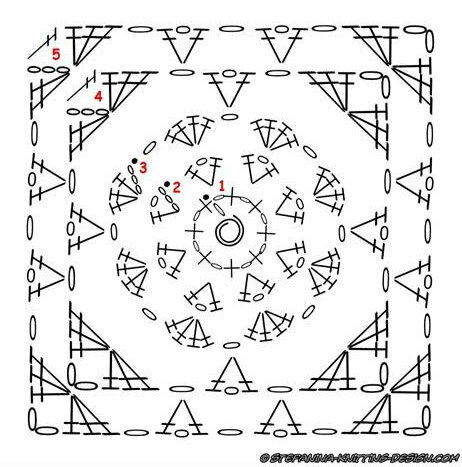 For the granny in the pictures, I followed the pattern until the 4th round where I made two chains instead of a dc for the corners. Did the same for the 5th round. Visit my granny board here for more inspiration. The title is an oxymoron although not completely true because we weren't quite lazy! Labor Day being a holiday and a non-working day is celebrated all over the country. We (a company of 8 adults and 8 children) went on an outing out in the country where the fields spread green as far as your eyes can see. And I took the children out in the fields and made loads of photos. Of course, couldn't miss the occasion and took some photos of the new headbands made with my new sewing machine and the lace I talked about here. There'll be more pics on flickr (check my right hand sidebar).